NYC, 02/03/2019, 2:00PM. 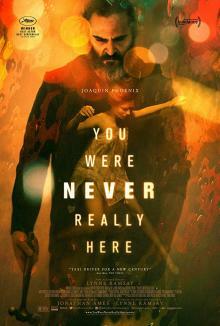 You Were Never Really Here (2017): Psychological thriller based on a novel. 89 min. Director: Lynne Ramsay. Starring Joaquin Phoenix, Judith Roberts, Ekaterina Samsonov. Based on the 2013 novella of the same name by Jonathan Ames. An unfinished version of the film premiered at the 2017 Cannes Film Festival in competition, where Ramsay won the Best Screenplay award and Phoenix won the award for Best Actor.